The second OpEd version, reproduced below, was published in the Joplin Globe with a different title. I’ve added graphics to this version plus live links for anyone wanting more background information. Republicans need to ban all smoking in state capitol. At this time of year state government employees in Jefferson City can be seen huddled outside their office buildings smoking while shivering in the cold. It’s a testament to the addictive power of legally available nicotine in cigarettes, despite being the leading cause of avoidable premature death. 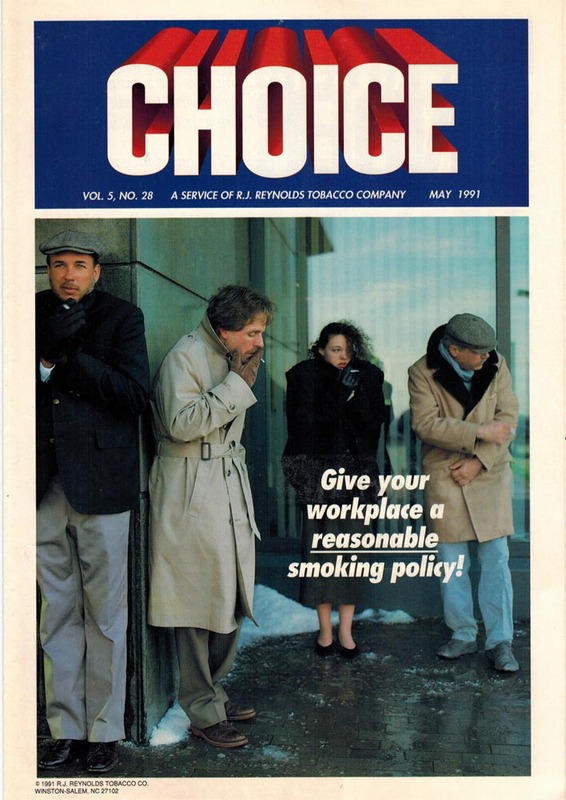 Before 1992, those with private offices were smoking inside, but that year the Missouri Clean Indoor Air Act (MCIAA ) was passed. The late John Britton, the formidable lobbyist for the Tobacco Institute and dubbed the Mayor of Jefferson City, had inserted a requirement in the bill that all state institutions and state colleges must have smoking areas. Governor John Ashcroft was a staunch opponent of Big Tobacco at the time, and his legislative assistant, Mr. Phil Irons, cannily added language that such smoking areas must have adequate ventilation at minimum cost, a standard not attainable in practice. Interestingly enough, lawmakers exempted one state building: the State Capitol housing their offices, and that’s the focus of this story. I first began lobbying for a MCIAA in 1984 as a member of what was then called the Missouri Coalition on Smoking and Health. At the time the only “NO SMOKING” signs in the State Capitol were in the Visitor’s Gallery overlooking the House chamber. The smoking situation only changed significantly after St. Louis City resident, Ms. Vivian Dietemann, filed a formal complaint in January 1994, alleging that smoking prevented her from accessing the State Capitol due to her severe asthma, in violation of the 1990 Americans with Disabilities Act (ADA). The House Smoking Policy, for example, made all public areas smoke-free, but exemptions included all legislators’ private offices. This four year effort resulted in a February 5, 1999, Memorandum of Agreement between the State Capitol and Missouri GASP which still exempted legislators’ private offices from any smoking restrictions. Since 1999, the only additional progress made was in January 2011 following an ADA complaint by Mr. Billy Williams of GASP of Texas on behalf of Ms. Rossie Judd, an asthmatic from Fenton, MO. Following the defeat of a Rules change proposal by then Rep. Jeanette Mott-Oxford to make the entire House smoke-free, the House Rules Committee made the Members’ Lounge adjoining the House chamber smoke-free. Legislators’ offices were again exempted. The Republican caucus should do the right thing, as Majority Floor Leader Cierpiot has suggested, by voting to make the Smoke-Me House the Smoke-Free House. Martin Pion is the president of Missouri GASP (Group Against Smoking Pollution) Inc. He can be reached at mpion@swbell.net. The Joplin Globe, a major local newspaper in southwestern Missouri, just published an edited version of a much longer OpEd I submitted recently. Joplin is the largest city in Jasper County with a 2010 census city population of 50,150. The reported circulation of The Joplin Globe is 20,414 [ref: Cision.com dated January 16, 2013]. Below is the published version for those interested. A fresh batch of Missouri legislators has just convened for the start of the new legislative session. One of their surprises may be the fact that, despite all other state buildings being smoke-free, legislators have exempted themselves from that requirement in the state Capitol. Some years ago, Missouri Group Against Smoking Pollution assisted Ms. Vivian Dietemann, a smoke-sensitive asthmatic from St. Louis, in filing an Americans with Disabilities Act complaint with the Missouri attorney general’s office regarding smoking in the Capitol. At the time, smoking was allowed throughout the building, the only exception being the visitors’ gallery overlooking the House chamber. Ms. Dietemann’s efforts in late 1993 and early 1994 led to a substantial reduction in where smoking was allowed. Sweeping smoke-free air ordinances became effective in St. Louis city and county on Jan. 2, joining many other Missouri communities. A smoke-free air initiative petition was recently approved by Jefferson City voters, so now you can’t smoke in a local bar but you can still smoke in the state Capitol. What kind of example is the Missouri Capitol setting for young children who visit the building when they smell secondhand smoke coming from legislators’ offices? What does this say about legislators themselves who allow this to continue? It really is time for the “Smoke-Me” Capitol to go smoke-free. In addition, the “smoking area in the underground garage” may also no longer exist, but that needs to be verified. Missouri GASP filed an Americans with Disabilities Act (ADA) complaint in January 1995 on behalf of Vivian Dietemann and two other smoke-sensitive individuals, Sr. Luella Dames and Don Young, a laryngectomy survivor and former smoker, seeking an entirely smoke-free Missouri State Capitol. As part of its complaint it requested a Self-Evaluation, as required by the ADA. Mr. Ted Wedel, General Counsel, House Research in the Missouri House of Representatives, was charged with overseeing the Self-Evaluation and as part of that process, Dietemann, Dames and Young each completed a survey in my home in Ferguson on September 8th, 1997, overseen by Mr. Wedel. The event was captured in the accompanying photo. Standing are Vivian Dietemann and Don Young, with a neck scarf covering the stoma in his neck through which he breathes. Seated are Sr. Luella Dames, with an inhaler on her lap, and Ted Wedel, General Counsel, House Research. The letter pasted below, dated April 13th, 1996, provides some insight into how Mrs. Helen Jaegers suffered from secondhand smoke exposure while working for a state representative in the Missouri State Capitol. Her letter was addressed to Mr. Doug Burnett, Chief Clerk to the Missouri House of Representatives at the time. It was faxed to MoGASP on April 23rd, 1996, by a sympathetic legislator, Rep. Bill Boucher, a Democrat representing District 48, part of the Kansas City area in Jackson County. “P.S. On Monday, 4-15-96, my husband and daughter rushed me to the EMERGENCY Room. Ms. Vivian Dietemann, a highly smoke-sensitive asthmatic, filed a formal complaint against the Missouri State Capitol in early 1994. The four page complaint is reproduced below. It referenced both Section 504 of the federal Rehabilitation Act of 1973, and the Americans with Disabilities Act of 1990. Ms. Dietemann alleged that she was being denied access because of permitted smoking throughout the building, citing relevant law and court decisions. The complaint was filed initially with then-Attorney General, Jay Nixon, and subsequently redirected to the three entities responsible for different parts of the Missouri State Capitol: the House, the Senate, and the Office of Administration.